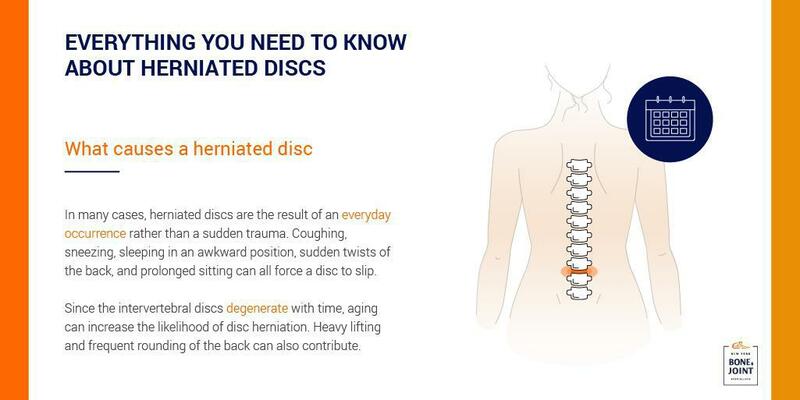 A herniated disc is caused by a tear or rupture in the outer ring of an intervertebral disc, which is a cartilaginous structure that connects the spinal vertebrae. The tear causes the disc’s center to protrude through the outer ring, endangering local nerves. While any intervertebral disc can become herniated, the great majority of cases occur in the lumbar region. Herniated discs generally result in heavy pain in the neck or lower back, a sense of numbness or tingling in the extremities, and a feeling of weakness in the surrounding muscles. In some cases, however, they’re nearly asymptomatic, particularly if the disc isn’t compressing a nerve. Herniated discs have many causes. In many cases, they’re the result of an everyday occurrence rather than a sudden trauma. Coughing, sneezing, sleeping in an awkward position, sudden twists of the back, and prolonged sitting in a car or a plane, for example, can all force a disc to slip. Since the intervertebral discs degenerate with time, aging can raise the likelihood of disc herniation. Heavy lifting and frequent rounding of the back can also contribute to them, since repeated stretching of the vertrebrae and sudden changes in pressure can lead to tears in the outer ring. Prolonged sitting can result in herniation, as well, especially if the patient’s posture is poor. How to treat a herniated disc? 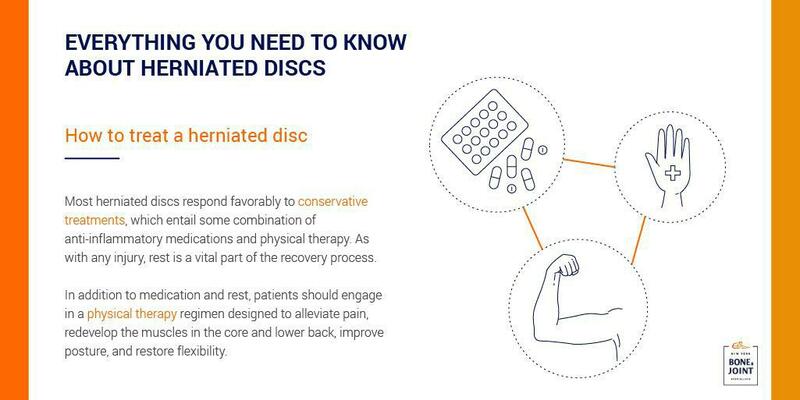 While some cases may require more invasive solutions, most herniated discs respond favorably to conservative treatments. Most conservative treatments for herniated discs entail some combination of anti-inflammatory medications and physical therapy. Nonsteroidal anti-inflammatories are most commonly prescribed, but more severe pain can be alleviated with narcotics, muscle relaxers, or oral steroids. As with any injury, rest is a vital part of the recovery process. In addition to medication and rest, patients should engage in a physical therapy regimen designed to alleviate pain, redevelop the muscles in the core and lower back, improve posture, and restore flexibility. If it’s placing pressure on a nerve, a herniated disc can be treated with an epidural steroidal injection. While the injection will not repair the herniated disc, it can greatly reduce inflammation of the epidural space, temporarily mitigating pain and improving the patient’s range of motion. 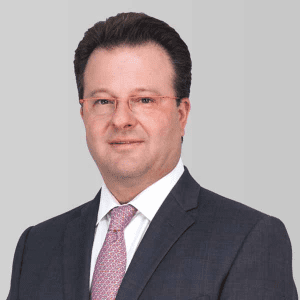 Most herniated discs don’t require surgery, but more extreme cases can be treated by surgically removing some of the herniated disc or fusing the vertrebrae. Should this be necessary, we would work with a qualified spinal surgeon to ensure that the operation is as safe and effective as possible. 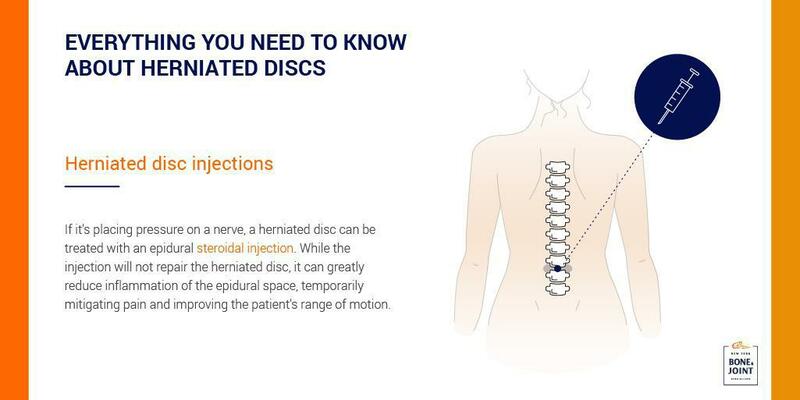 While this procedure can provide immediate relief, it’s recommended only if the disc is causing unbearable pain or significant permanent damage to surrounding nerves, since long-term outcomes are often less than satisfactory. 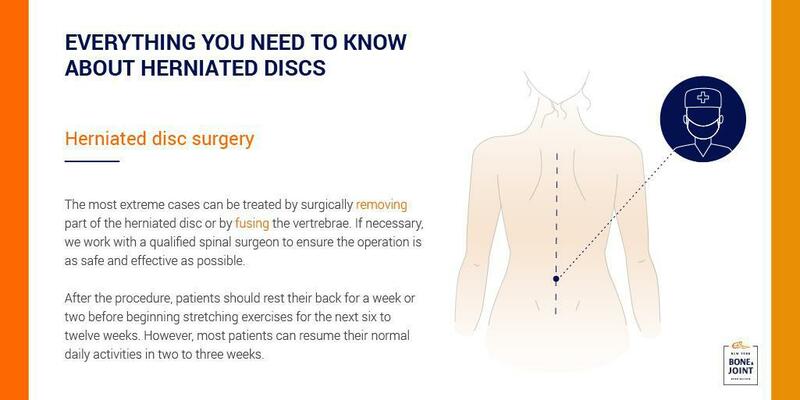 After the procedure, patients will need to rest the back for a week or two before beginning stretching exercises several times a day for the following six to twelve weeks. Most patients, however, can resume normal day-to-day activities in two to three weeks.